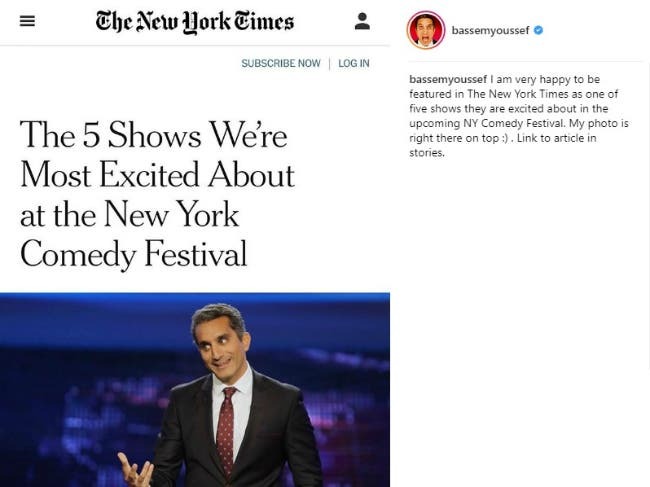 Home » Entertainment » Latest News » Bassem Youssef To Perform At This Year’s New York Comedy Festival And Here’s All The Details! 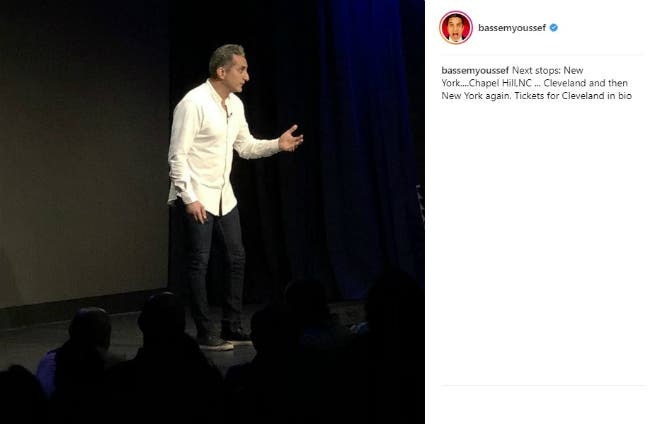 Bassem Youssef To Perform At This Year’s New York Comedy Festival And Here’s All The Details! The 15th edition of the renowned annual New York Comedy Festival just kicked off and as expected there is a crazy line up. The best thing about it is that Bassem Youssef, dubbed Egypt’s Jon Stewart, will be participating! Wait, it gets better; The New York Times just mentioned his show among the five shows they’re most excited about! Youssef, who’s best known for his YouTube videos and the entire population’s favorite satire show, Al Bernameg, is currently residing in the United States after fleeing the country when his show was canceled for good. During his stay there, he hosted the International Emmy Awards gala back in 2015, as well as the 49th Carthage Film Festival in Tunisia. Additionally, he’s currently hosting a digital series for Fusion Network called “The Democracy Handbook” on its new digital platform, F-Comedy. Bassem didn’t stop there and decided to take his one-man show on tour. His festival performances are based on material from his show, as well as his past experiences in Egypt and his new life in the US. “Bassem Youssef: Stand Up, Stand Down, Stand Out” will be taking place at Joe’s Pub on the 10th and 11th of November. The show starts at 9:30 pm and tickets are sold for $30. You can claim your tickets here. It’s worth mentioning that Bassem is also performing on the 7th at Chapel Hill and on the 9th at Frolic Cabaret in Cleveland. El Bernameg US edition? Bassem Youssef to host satirical show in America! 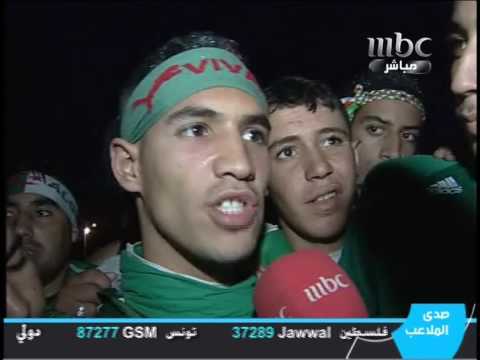 Iraq gets its own 'Bassem Youssef' - complete with ISIS death threats! The suspense is killing us! Will Bassem Youssef replace Jon Stewart on The Daily Show?